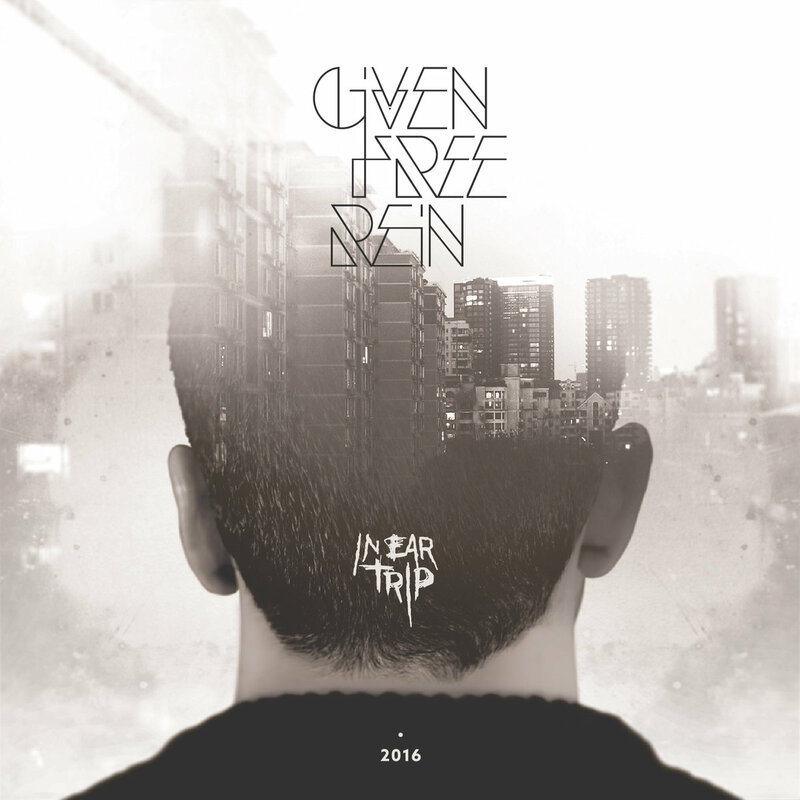 Greek post-punk trio Given Free Rein released their debut “In-Ear Trip” in May this year. The band’s founder and multi-instrumentalist Andrew Kouretas spoke for Prog Sphere about this work. Define the mission of Given Free Rein. To establish a unique,deep, direct musical atmosphere that people will feel and conceive when they listen to Given Free Rein albums and attend their live gigs.Or when they think about them..
Tell me about the creative process that informed your album “In-Ear Trip“ and the themes it captures. The In-Ear Trip album started back in 2013 when I felt the urge and need to express the atmosphere I felt, living in Exarchia, the center of Athens having the Athenian people and buildings around me. I use the word atmosphere because this is how I work. I always try to depict in my music the emotions from which I get stimulated rather than the fact itself that creates the stimulus. Every song started from an “idee fixe”, an idea that stack in my mind after playing and improvising with my guitar or piano and then this idea evolved and became a song for a rock band. The lyrics came afterwards. A prevalent theme in my album is the urban landscape of the centre of Athens with the buildings and the people in and around them. This is the background of all songs. Additionally, there are some 80′s sci-fi references, especially with some sounds I used, that carry and adapt the urban images as if we had the Athens of the 80′s existing in a different timeline in the future.It’s a metaphor I use that was quite inspiring during the making of this album. What is the message you are trying to give with “In-Ear Trip”? There is no message in my music, I don’t think music this way. The In-Ear Trip album is a journey of the mind through dark city streets towards the light of the future. The inner voice that someone hears when the music triggers his imagination and his soul.When the headphones are plugged into his ears and then into his brain and take him away. It is an album of wandering and not an album of declaring. Through my Logic Pro X interface on my Mac. And when I was out of home, I had some rough recordings on my phone so that I didn’t forget the ideas that came to my mind. I think this is something that the listeners of the album should answer. What I can say is that I am very fond of big fluctuations in the dynamic flow of the music and I like doing sharp cuts sometimes. I was quite lucky, I can say, because I knew the producer George Bokos, so it was a gift for me that he made the production and helped me solve all the problems I had during the process. We started working together one year after I started writing the music and this kept for 2 years.Then I recorded the album at Grindhouse Studios Athens with him as a sound engineer, who also mixed and mastered the In-Ear Trip album. Ntinos Roulos, the drummer of Nightstalker played the drums, I played the guitars,the keys and did the vocals, George played the bass, Charis Pazaroulas did an excellent work with the double bass and Ioannis Moraitis recorded a part with his trumpet for one song. I also want to thank Dimitris Misirlis who engineered the drum recordings at Matrix Studio Athens. How long “In-Ear Trip” was in the making? 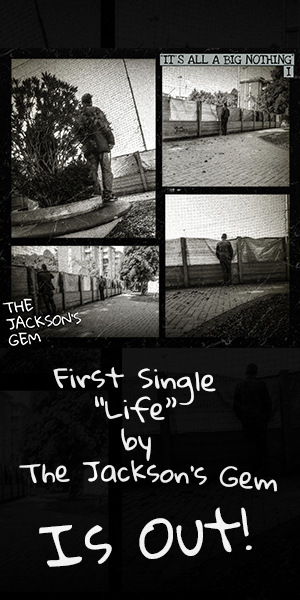 From the moment I started writing the first song until the album was released, it was about 3 years. 3 years of a trip that started and hope that it will go on. I can say that Placebo is a major influence for me and I ‘ve taken some things from their songwriting style,and some musical stylistic features such as the guitar delay effect or the harmony chords they use. Muse is also a band I admire. Pink Floyd was an influence for me especially as far as the synths and keys are concerned. GeneralIy, I am a huge fan of technology, I can say and I like using it. In music, technology helped me a lot to do what I wanted and some sounds I have used were an inspiration of the moment after loading accidentally some patches from my interface library, which kind of struck my mind when I heard them. So this vibration I felt led to something that would’d have happened if it wasn’t for the interface sounds.Of course, the over-use of the technology sometimes may lead to bad music, but even Pink Floyd back in the 70′s were accused of using a lot of technology in their albums.But I think music technology sometimes is the only means someone has to create music. Well, again this is something I am not in position to declare. Time will show. But if a fan has something to say about this, I am very curious to find out. We are preparing our first live gig that will probably take place in spring. “In-Ear Trip” is available now from Bandcamp.